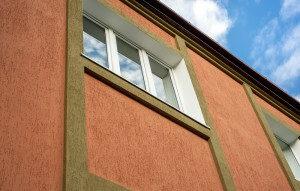 The stucco subcontractor’s insurer filed an action for declaratory relief claiming it had NO duty to defend or indemnify the subcontractor in the underlying action because the subcontractor had a stucco/EIFS exclusion through an endorsement in its policy, referred tp as the “Exterior Finishing System and Stucco Exclusion.” The subcontractor’s policy also did not contain a subcontractor exception to the “your work” exclusion. Regarding the elimination of the subcontractor exception to the “your work” exclusion, the Court noted that the elimination of the subcontractor exception was largely irrelevant since the stucco subcontractor was a subcontractor so its work was not the entire project (unlike the homebuilder or general contractors’ work). Rather, the stucco subcontractor’s work was its scope of work and the underlying complaint referenced damages beyond the stucco subcontractor’s own work to other building components. Thus, based on the allegations in the underlying complaint, the “your work” exclusion was not a basis to deny the duty to defend. Regarding the stucco exclusion, the homebuilder argued that the subcontractor performed work outside of stucco work and the underlying complaint contained allegations unrelated to the application of stucco including framing work, miscellaneous work, and wrapping the buildings. In other words, the Court did not have sufficient evidence that each allegation of nonconforming work related to the stucco subcontractor related to or arose out of the installation of stucco to trigger the full application of the stucco exclusion. Thus, this was not a basis to deny the subcontractor the duty to defend. At this time, it is uncertain the magnitude of covered damages under the policy in light of the stucco exclusion and property damage resulting from the subcontractor’s defective work (certainly an issue to consider). However, the insurer owed the subcontractor a duty to defend based on the allegations in the underlying complaint demonstrating the importance of crafting allegations in the underlying complaint. The insurer’s indemnification obligation for covered damages, however, may be a different story and it is uncertain how a stucco subcontractor could have an endorsement that contains a stucco exclusion. Take a look at your policy and, particularly, endorsements that further restrict coverage to ensure you do not have an exclusion relating to your own scope of work that would negate the value of the policy to you for property damage claims.